Most consumers are conditioned, when buying fresh food products at the supermarket, to check the expiration date. But the expiration date is just one of the dates you will usually find stamped on the packaging. What do all these different dates mean? They range from government food safety recommendations to the manufacturer's suggestions regarding the products' freshness. 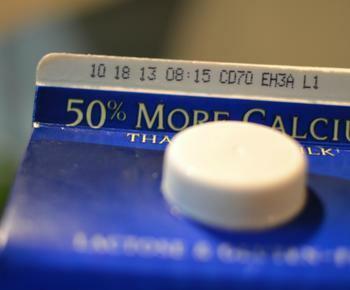 The expiration date is probably the date consumers are most familiar with. It may surprise you to learn that expiration dates are not required by federal law, except on baby food products. At the state level, however, there are regulations that set rules about how long milk and other perishable food can remain on sale before being purchased or discarded. You'll find expiration dates on most non-perishable food products as well, but they aren't required by law. They are there solely at the discretion of the manufacturer. But the FDA is also quick to point out that manufacturers face certain responsibilities for ensuring their food is wholesome and fit for consumption. A product that is dangerous to consumers would be subject to potential FDA action to remove it from commerce, regardless of the date on the label. 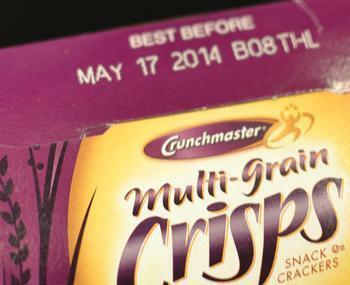 Manufacturers have another reason for putting expiration dates on their products, even though they don't have to. They don't want consumers opening a product and finding the taste isn't quite up to par. That could create a bad impression or, worse, cause the consumer to start posting Internet rants. So manufacturers have come up with a number of other dates that might appear on the product. One is the “sell-by” date. This date tells the store how long it should keep the product on its shelf and when it should pull it. Buying the product well before the sell-by date has arrived should mean you get a fresh product. At the same time, you can give up a little freshness to save some money. Most supermarket chains will significantly mark down items just before the sell-by date arrives. You may also find a “use-by” date on a food package. Again, it has nothing to do with food safety. It's simply the manufacturer's estimate of when the product has reached the peak of its freshness and is on a downhill slide. When you find food items onsale, chances are the use-by date is fast approaching. Other dates have come into wider use in recent years. For example, the beer industry has begun stamping its product with a “born on” date. It has nothing to do with safety and everything to do with competition. Brewers want their product to be the best-tasting, spending millions of dollars each year to convince consumers of the superiority of their particular brand of beer. They want to avoid having a consumer pop open a dusty bottle of beer and be disappointed with the taste. Beer can, in fact, lose its taste. It turns out that sunlight can affect beer, causing it to age even faster. That's why many brewers put their beer in brown or green bottles. Bakers have begun using a “guaranteed fresh” date. Bread products tend to get stale in a hurry and specialty bankers, in particular, want to make sure consumers know to purchase their products at their peak freshness. Do dates ever impact safety? For perishable food, the obvious answer is yes. But sometimes you are safe consuming the food after the date on the packaging. According to the medical experts at WebMD, you are usually okay consuming milk up to a week after the sell by date. Eggs, they say, will last an additional three to five weeks in your refrigerator, assuming you brought them home before the sell-by date.